The Supreme Court on Tuesday asked the Delhi Bharatiya Janata Party (BJP) chief Manoj Tiwari to file an affidavit within a week in connection with allegedly breaking the seal of a locked house in an unauthorised colony in the national capital's Gokalpur on September 16. 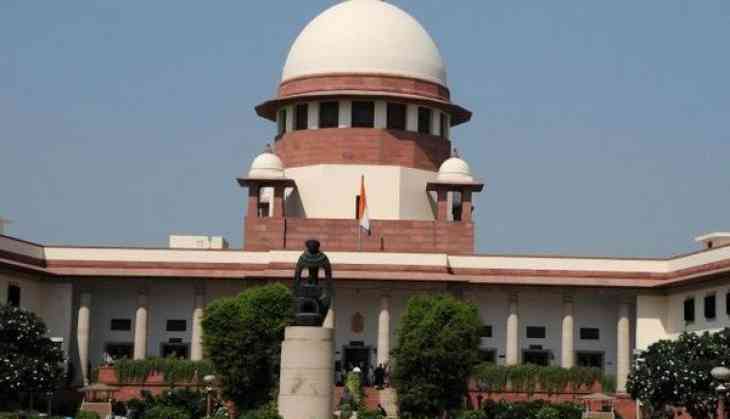 The apex court has fixed the matter for further hearing on October 3 and also asked Tiwari to appear before it to explain his stand in connection with the case. The BJP leader appeared before the court bench, headed by Justice Madan Bhimrao Lokur while complying with its last order. He was summoned by the Supreme Court on September 19 for allegedly breaking into a sealed house. The court took cognisance of the First Information Report (FIR) that was registered under Sections 188 of Indian Penal Code (IPC) and Sections 461 and 465 of the Delhi Municipal Corporation (DMC) Act. The Delhi BJP chief had earlier justified the motive behind breaking the sealed lock, questioning why only one house was sealed by officials if there were 1,000 houses. "I oppose this pick and choose system so I broke the sealed lock," he told ANI on September 16. Tiwari allegedly broke the lock of a sealed house in Gokulpur area of his parliamentary constituency in North East Delhi.The Member of Parliament was protesting against Delhi Chief Minister Arvind Kejriwal for, what he termed as, not fulfilling his promise of regularising the unauthorised colonies in the national capital. The drive to seal commercial establishments, which do not comply with the provisions of the 2021 Master Plan, began in January, on the orders of a Supreme Court-appointed monitoring committee.